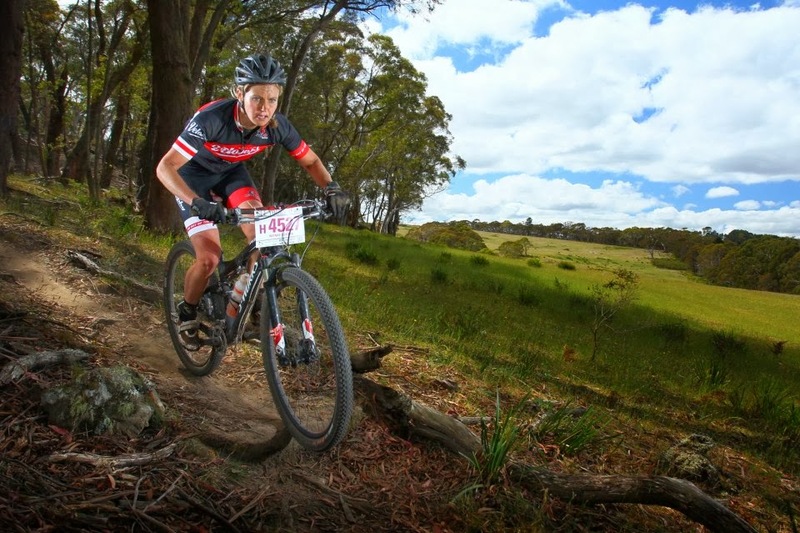 The GrandRaid MTB Marathon, a race I have wanted to do for such a long time, the jewel amongst the MTB marathons. The one for the bucket list. And this year I was on the start list. After a tough 12 months I made it. 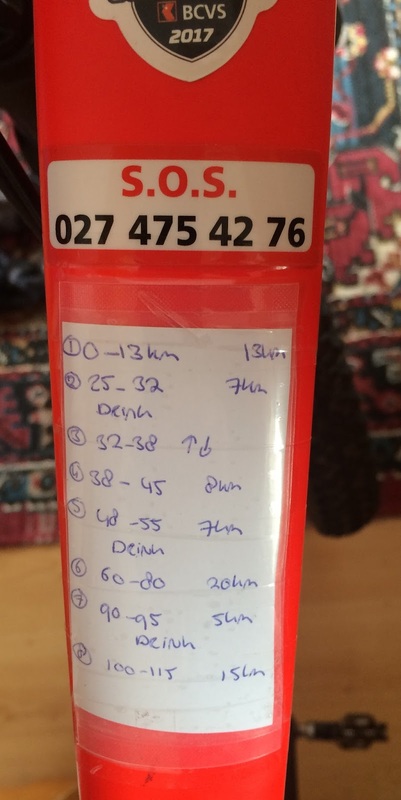 The route taking riders from Verbier to Grimentz, 125kms with 5000m of elevation gain. Having limited races this year due to injury, this was going to be one of the two big adventures this season. When I arrived in Verbier I discovered to my excitement that there was an international horse show going on at the same time. Since I was travelling by myself this was the perfect way to waste some time, watching horses and get reconnected with one of my old passions. The weather and the mountains were absolutely stunning. It was hard to stick to the taper with fresh legs and so many beautiful trails to explore but I kept my riding to a bare minimum. If I have to blame something to the events that followed, it would be my bad sleeping habits with a lot of hours staring at the ceiling the two nights before the race. I did not feel very relaxed. Although I am someone who enjoys being in my own company, I wonder if too much time on my own before a race gets my mind on edge a little to much. With no distraction my thoughts spiral out of control sometimes. But with the weather being much better than predicted with a dry day ahead, I stood happily on the start line together with roughly 600 other excited riders, ready to get it done. The plan was to ride the first 60kms at an easy pace so I would have plenty left to give on the two big final ascends. The plan was to enjoy the scenery, to find flow and be in the moment, riding climb after climb after climb. None of this happened the way I wanted it. As I ticked of the climbs lined out on the top tube on my bike, I felt very uninspired. I missed having Jantiene by my side sharing the experience like we did in our two day MTB expedition. I missed the breath taking beautiful unspoilt scenery of the mountains we had shared in the Ecrines National Park. Most of the route was on tarmac or fire roads and I did not sense the magnificent power of the mountains which I loved so much. I wondered if I had been spoilt, riding in such amazing settings the last couple of months. The single track which were present between the long sections on the road were in such random unexpected places that I struggled riding it with any decency of a mountain biker, nothing seemed to flow. My heart was just not in it and as I moved closer to the finish line, for me the race itself had already become a disappointment. I was on the final climb, and even the thought of almost being on the last descent did not fill me with joy. I was not moving with much speed or strength anymore but in my head with around 18kms to go I knew I was going to make it. But oh boy did I get that wrong. As the climb levelled out into a feeding zone with roughly 6-7kms of climbing to go someone told me to stop, cut the number plate of my bike and said I was done. Just like that. What now?! Not really comprehending what just happened "C'est finis" the man said. I looked around and there were about 8 riders with the same fate as me with another 4 still to be waited on. I did not make the final cut off time? I could not quite believe it. Anger, disappointment, sadness all at once took over my being. How was this possible? This had never happened before. "Not making the cut off time?!" I kept on repeating in my own head. How slow was I actually going?! Quickly my feeling of disappointment followed by a feeling of pure panic; my bag with my wallet in it was waiting for me at the finish line in Grimentz, and I had no idea how to get there. Heck I did not even know how to get back to Verbier. How would I get back? I was all by myself. "Have you got anyone in Grimentz?" I was asked. "No, no its just me" "all by myself " Suddenly I felt extremely sorry for myself. A scene out of Bridget Jones Diaries sprang to mind. My head was in chaos. After 9 and a bit hours on the bike my already very basic French had succumbed to next to nothing and in my attempt to ask "what the hell do we do now?!" I only got friendly smiley nods from the organisers not understanding a word of my French/English/Dutch ramblings. 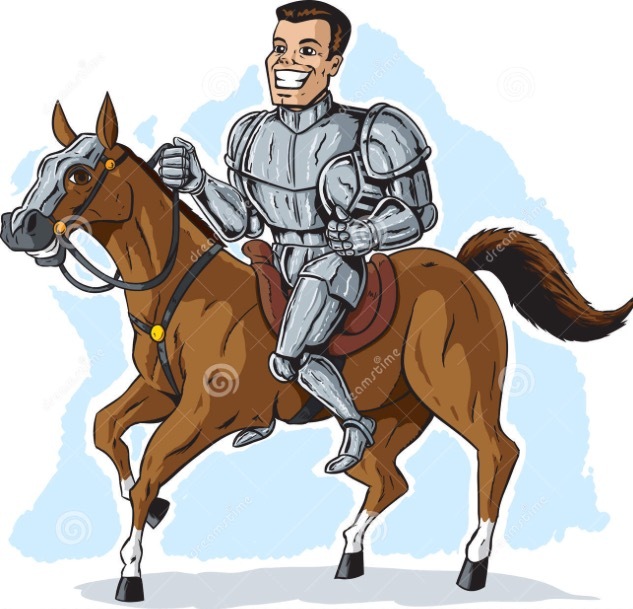 Like a knight in shining armour, a friendly fellow rider came to the rescue. Despite the fatigue of a long day in the saddle (I was actually picturing his bike to be a horse) he was still very capable to change from French to English and back without a blink of an eye. I am sure there was even some Spanish in there but that could have been due to the disoriented state I was in. Within seconds he sorted out my disarray of thoughts. The story was that we had to ride down to St Martin as a group and wait for a bus there which would take us back to Sion, from there I would be taken back to Grimentz where I had the opportunity to get my bag and from Grimentz back to Verbier. A total of 3-4 hours on the bus I was told. A sense of camaraderie had developed between us riders all defeated by the clock. When I looked around I would not have guessed any of them not being fit enough to complete the distance. This cut off time must have been tight I thought. I followed the guys down the long descent we had just battled our way up with a bleeding heart. It almost felt a bit surreal. I struggled to fight back the tears not quite understanding how this had happened. "I did not make the cut off time" kept on going through my head. Down in St Martin it was a long wait for the bus which we spend hugging the last little bit of the afternoon sunshine to keep warm. We were now left with about 8 of us. It was almost a funny sight. Tired defeated bodies and a whole lot of expensive bikes spread out on the ground at the bus station. Although at first I felt like hiding under a big solid rock and separated myself slightly from the group, I decided to approach my new friend the multilingual knight and another rider from the UK who had joined his company. As always in these type of situations, connections are made so easily with shared experiences and soon we could all laugh about the adventures of the day. Albeit with a bit of cynicism on my behalf. When the bus arrived we were informed that all riders going to Verbier had to join the bus from Sion to Grimentz. Which very selfishly was great for me since my two new made friends had to join me on what ended up being a 5 hour long bus journey. You could not make this up if you tried! After two hours speaking English we discovered that the knight and I could speak Dutch since he was from Belgium. And he eventually got a name as well, Tom. Not as knight like as I imagined his name to be such as Rodrigo or Bertrand. Fatigue can do strange things with your imagination! When we finally arrived in Grimentz navigating windy roads with scary side drops and a very blaze bus driver (in my opinion) we were told there was another bus taking us to Verbier (when earlier we had been told the same bus and driver was taking us) and all the bikes needed to come out of the trailer again. When you are tired simple things like this feel like a huge ordeal! This ended up in favour of me since I still needed to get my bag which I was told was on the other side of the village from where the bus was. When we walked up to where the other riders were joining us direction Verbier, my new made Belgium friend had multiplied by 6 being reunited with his mates who all kindly made sure the bus waited whilst I sprinted on my bike (felt like a sprint but looked probably more like slomow) up the hill (felt like a mountain) in search for my bag. The event village had a strange deserted feel to it and I struggled finding any sober organisers who could tell me where I could find my bag. Until suddenly I spotted it, laying lonely in the bag zone waiting for my arrival. Another surreal experience, it was almost as if I was dreaming all of this. I rushed back to the bus going faster downhill than I had done all day only to find my new Belgium friends waving enthusiastically once they spotted me whilst saving my bike a place on the trailer of the bus. What a life savers. Tom had travelled to Verbier with 4 other athlete friends, who did manage to finish the race. Turned out that they knew a lot of athletes I knew, had done a lot of similar races and were also Xterra fans which created food for conversation and friendly banter. Connecting with people who share the same passion, the very reason why I love racing so much. 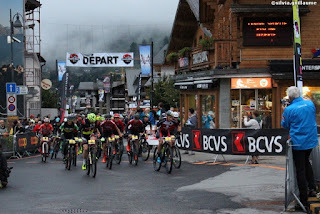 I am a month away from racing in the Himalayas and this race combined with the Engadine Giro experience has given me a massive knock in my confidence which I did not really need. I am not entirely sure what went wrong on Saturday and I will have to find a way to figure it out. To me it feels like it was a combination of not having found my race speed, not having paid attention to the cut off times and not having found inspiration to dig deep during the race. To cut it short, I felt mentally empty most of the 10 hours experience. Flat is the word to describe it, ironically it being such a hilly race! The hardest part I find is that I am not just letting myself down but also the people who believe in me. Coach Rab, my Sandy Wallace team mates and mechanics who are always there to offer last minute advise and bike maintenance, my ashmei sponsors and team mates. Although I do race purely for my own enjoyment, some day I would like to prove that I am not just a fraud and that I am actually able to do what I set out to do. No doubt I will ponder over this for a few more days to come because I can rationalise it over and over again, whatever way I look at it, it still ended up a huge disappointment. The goal was the finish line. Hi Nienke, I am one of the 8 riders who did not get to the last control of the Pas de Lona. I read your great blog and I felt perfectly identified !! I am the Spaniard who rode a Rocky yellow and we were rolling in the same group during the middle of the race. The truth is that although we do not go very close, the race is incredibly beautiful. Cheer for next time !! Regards and until next time. Hi! I only just saw this! Will you be racing it again this year?